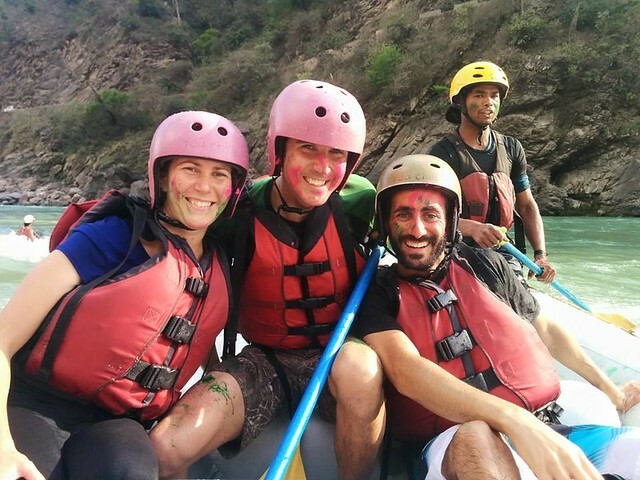 Rishikesh is an eclectic city that attracts an interesting mix of tourists – including yogis, adrenaline junkies, foreigners, and middle-class Indians. 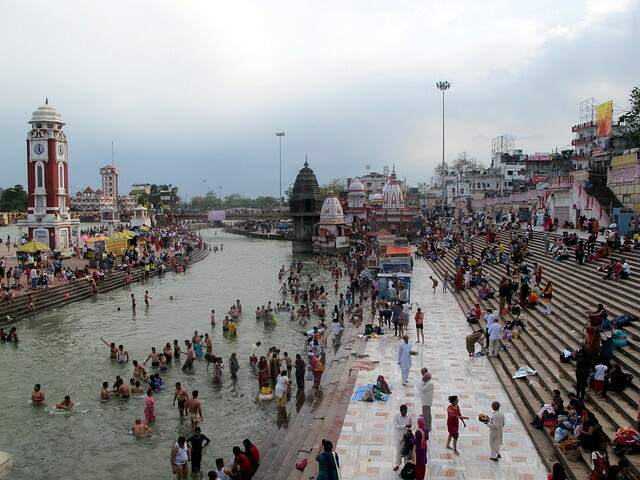 The city is located at the foot of the Himalayas and along the banks of the holy Ganges River. It’s the epicentre of India’s yoga scene, with dozens of ashrams and hundreds of yoga instructors. It’s also a huge adventure sports hub, with river rafting, trekking, bungee jumping, and zip-lining all available. In early April, the weather is perfect (just when Delhi is getting hot and the hill stations are still cold). We were there for the Easter long-weekend, which we didn’t think would be an event in India, but apparently it is one of their busiest weekends. The streets and hotels were packed with thousands of Indians from Delhi, Punjab, and Haryana. When we got back from our trek, we had a panicked hour while we struggled to find a hotel, but eventually found a great place in the quiet Swiss Cottage neighbourhood. We squeezed as much into our time in Rishikesh as possible, but still left wishing we could have spent a few more days. 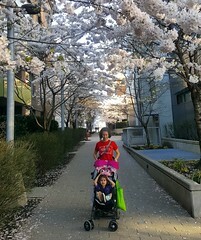 It would have been nice to check ourselves into an ashram, do yoga, and explore the city at a leisurely pace, but we only had a few days with Dan’s tight schedule and the city was too busy with Easter crowds. In our short time, we managed to take a cooking class, raft down the Ganges, and do three yoga classes. When we did find time to wander, the city rewarded us with many interesting temples to explore, really good restaurants (including a cafe with vegan pizza), cute souvenir shops, and great views. The cooking class was really good. This was our third cooking class and we got to choose the menu, so we focused on simpler recipes that we would be more likely to cook at home. 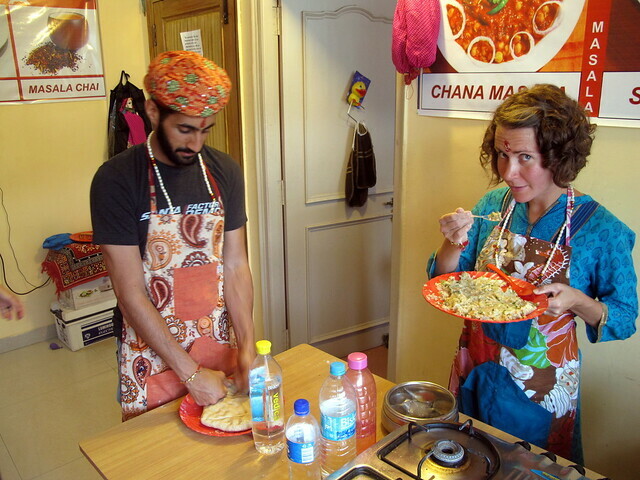 We learned how to make aloo gobi, baingan bharta, dal fry, parathas, and a simple chutney. After the class, we went and bought a number of the masala spice mixes so we can hopefully replicate the recipes at home. River rafting was a blast. The rapids were pretty tame, but we still had fun. We were able to jump out of the boat and float down the river for stretches. It was cold, but not unbearable. We also brought our leftover dyes and played Holi in our boat. It left a real mess, but I was happy our guide and the other tourists in our boat enjoyed it too. 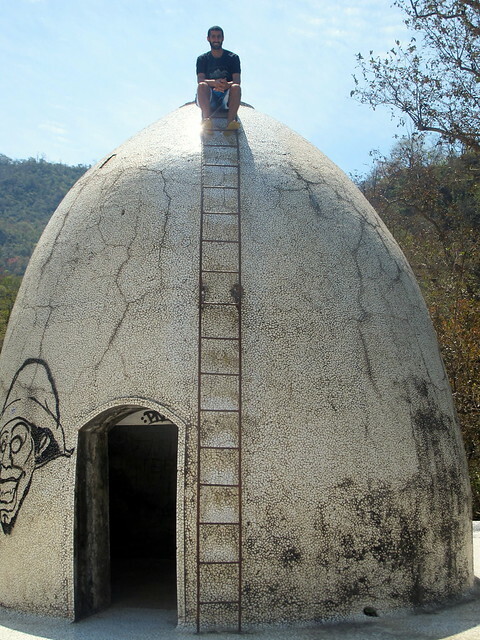 One of Rishikesh’s claims to fame is the ashram that The Beatles stayed in while writing the White Album in 1968. It’s now abandoned, but you can bribe the security guard (we paid 50 rupees each) to let you go explore. It’s a cool space, with Beatles-themed graffiti everywhere and funky buildings slowly being taken over by the forest. 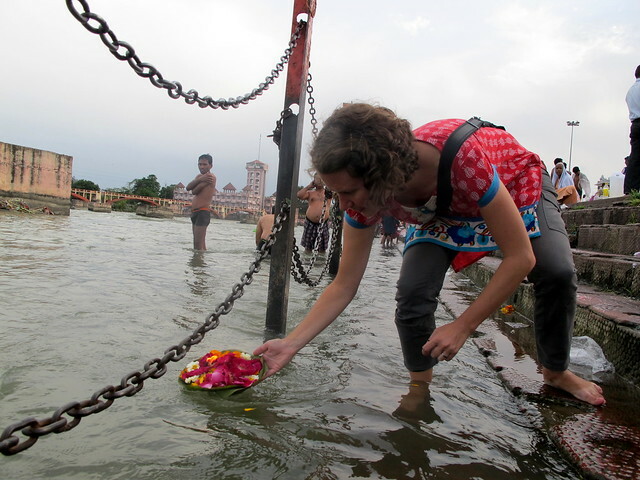 Haridwar is just downstream from Rishikesh and is one of the 7 most sacred sites to Hindus. We spent a day there checking out the temples and ghats. Skillfully turning away the priests who kept trying to bless us (and ask for money), we made our own aarti ceremony and offered a prayer to Mother Ganga while floating flowers down the river. 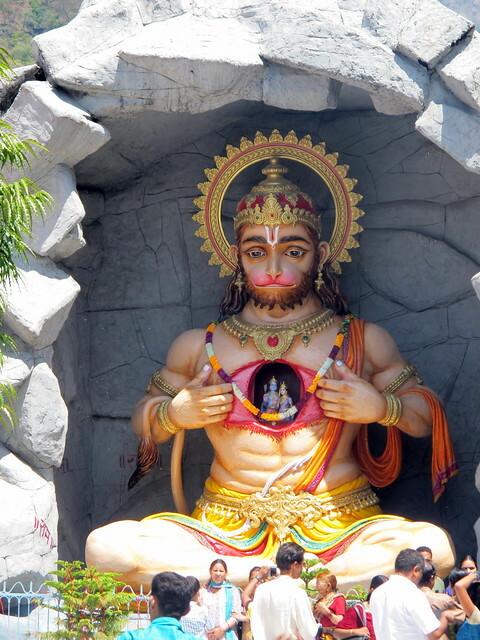 More pictures on Flickr: Rishikesh and Haridwar. Thanks. 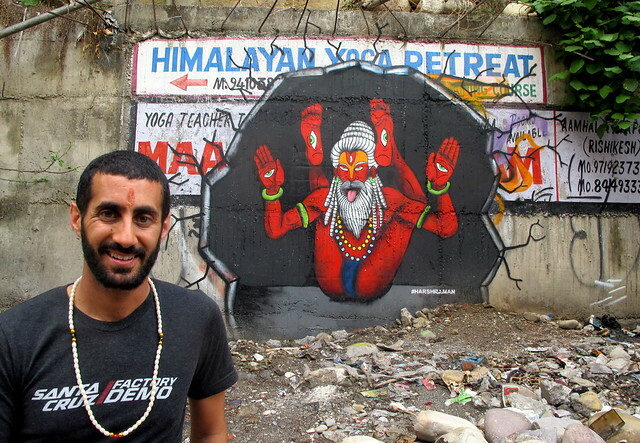 We like doing yoga, and took a number of classes in India, but are still beginners. 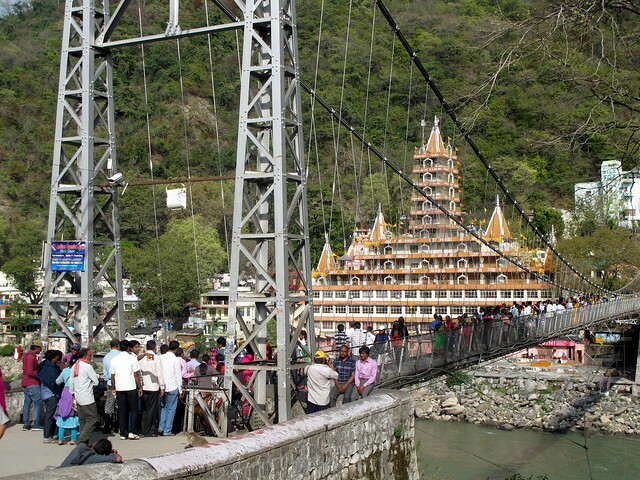 It wasn’t our main motivation for visiting Rishikesh. I really liked the vibe in Rishikesh too. Of all the places we visited in India, it was probably the one I could see myself staying and enjoying for a longer time. My only complaint was the motorcycles terrorizing the pedestrian bridges, but that’s a problem with most of India. Haha oh gosh I know what you mean about the motorbikes, but I honestly agree with you – I think that the general rule of thumb, both in India and now I’ve found in Saigon too, is that motorists take great pleasure in being terrifying.